This week we held our annual State of the School address and invited families, faculty, students, and community members to come together to learn more about our progress at Sierra. At this event, we were able to give families an update on our school‘s academic progress in the first semester and update you on goals for the remainder of the year. I’d like to personally thank all those that were able to attend. We’re so proud of our successes, and we’re excited to continue to partner with you all everyday to get better and better. 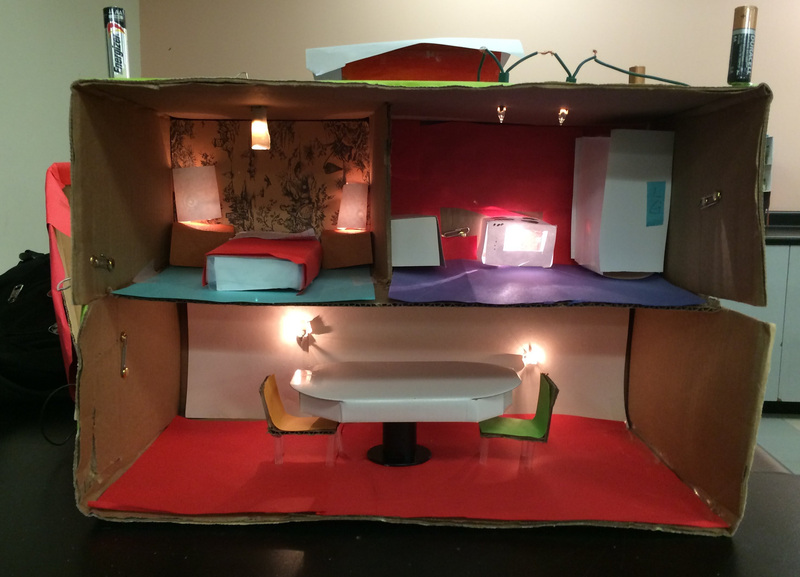 Please click here for a link to the State of Our School Presentation to learn more. Also this week, we continued great work as scholars in our classes. In English 10, students dove deeply into close reading novels in their World Literature Projects and in World History 1, young historians hustled to complete research essays about revolutions around the world. 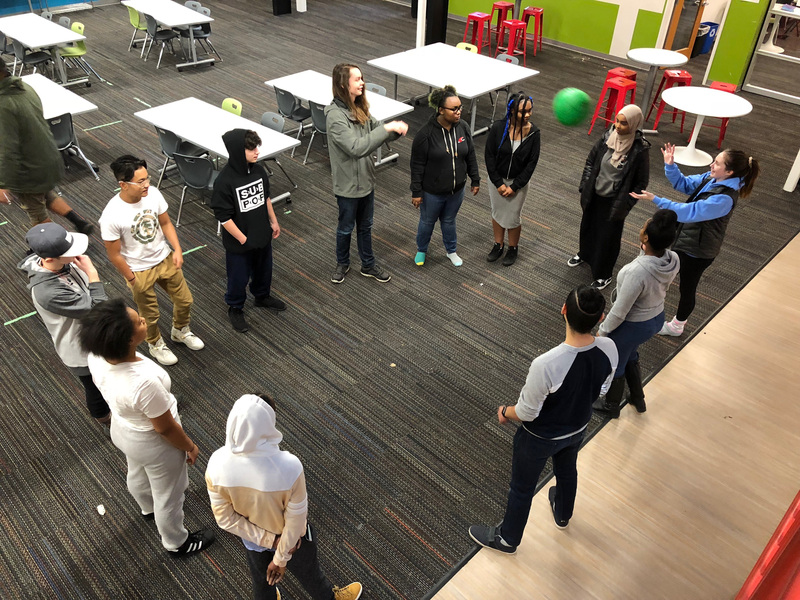 As always along with great academic progress, we’re constantly striving to build a connected community at Sierra. Many mentor groups engaged in different activities to continue to foster secure and supportive attachments. Check out the photo of Mr. Mendez’s Mentor Group, the Bo Ties, in a community builder below. I look forward to seeing more academic and community growth in the coming weeks! Please join us on Wednesday, January 31 from 6:30 – 8:00pm for workshops and resources for college planning, paying for college, the application process, and more! Food will be provided. Please register at: http://bit.ly/jancollegenight. For more information, please contact Ms. Nguyen at cnguyen@summitps.org. Frisbee tryouts will be held on 1/17, 1/18, and 1/19 from 3:45 – 5:00pm at Beacon Hill Playfield. Students can meet Captain Oscar in the OLS at 3:35pm on any day to walk over together to the tryouts. For more information, please contact Ms. Temes at ltemes@summitps.org or Captain Oscar Cortes at ocortes.si@mysummitps.org. Even though this student had gotten behind in a few classes, he decided to step up and face his obstacles to get back on track. He worked diligently to meet with his teachers, check-in with his mentor, and not get intimidated by the amount of work he had to do. He was able to clear several incompletes and create new habits to stay on track in the future. This student showed responsibility this week by getting ahead in his reading for English class. Since he was ahead of the reading schedule, he was able to complete his checkpoint on time and even get multiple rounds of feedback in class and via email. We can all learn from how he prepared himself outside of class and pushed himself to be ready ahead of time. This student came to her socratic seminar highly prepared. Each of her comments clearly showed that she had taken the time to gather evidence from each of her sources and present the information to the group. I was extremely impressed with the academic integrity that she demonstrated in thoroughly preparing for the discussion. This student has been asking thoughtful questions in math class to expand upon her learning and dive deeper into the subject. This student constantly brings up the value of respect and challenges his peers to uphold this value. He often speaks insightfully on the importance of respect and how it can make or break a learning environment and community. I can always count on this student to connect this value to ourday to day lives. This student helped welcome a new student and show them around the school. We’d like to recognize 9th grader, Bernardo Savitt, for serving as a legislative page in the state capitol this week! 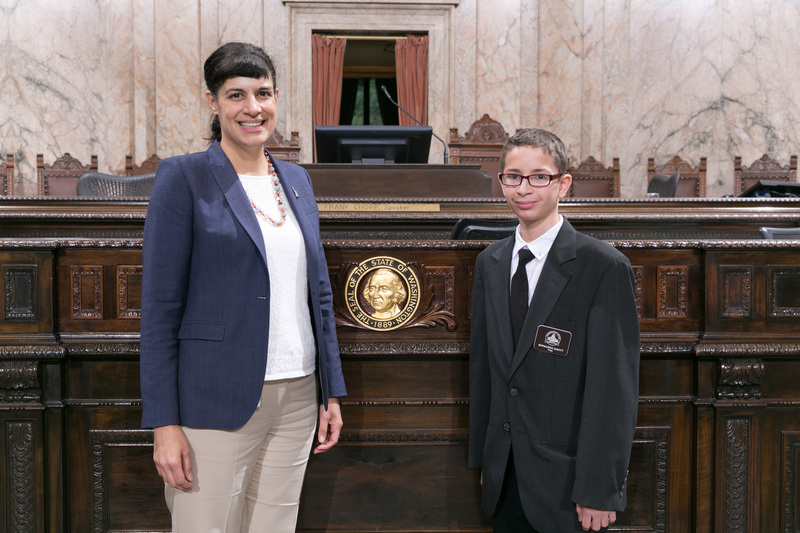 Bernardo served as a page this week in the Washington State House of Representatives sponsored by State Rep. Nicole Macri (D-Seattle). Pages perform a wide variety of responsibilities, from presenting the flags to distributing amendments on the House floor. In addition to contributing to the efficient operation of the Legislature, pages receive daily civics instruction, draft their own bills, and participate in mock committee hearings. Bernardo enjoys playing tennis, soccer and chess. He also enjoys writing and drawing in his free time. Join us in recognizing Bernardo’s great participation! Wing Luke Museum is seeking event volunteers for its Lunar New Year Fair on Saturday, February 10. The fair is a celebration of Asian Pacific American traditions with family-friendly activities such as games and crafts. It’s an event that not only brings visitors to the museum, but also supports the neighborhood. Volunteers answer questions about the day and lead activities, and many ofthem will be from other high schools or college-age students. The museum often sees Summit Sierra students passing by and would love to invite them in to learn more about the museum and more about local history. There are a few different shift options in the call for volunteers, but SummitSierra students are encouraged to volunteer for the mid-day 12:00pm-3:30pmshift. We ask that volunteers arrive 30 minutes beforehand (11:30am for this shift) for food and drink and orientation. Click here for a flyer to learn more about volunteering. Contact your mentor or let Ms. Nguyen (cnguyen@summitps.org) know if you are interested. Different positions available.